Cities, included in the list: Antibes, Cagnes-Sur-Mer, Eze, Frejus, JUAN LES PINS, Menton, Mougins, ST RAPHAEL, Saint-Tropez, Saint-Jean-Cap-Ferrat, Saint-Laurent-du-Var, Saint-Paul-de- Vence. 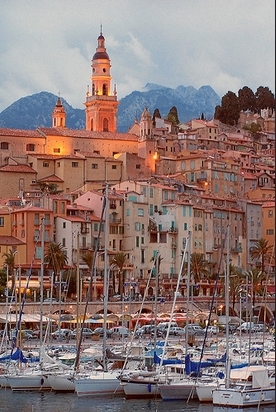 Cannes, Nice and Grasse, as well as Monaco/Monte Carlo are carried out into separate section. PS: Please don't mix up Cote d'Azur with Provence ;). 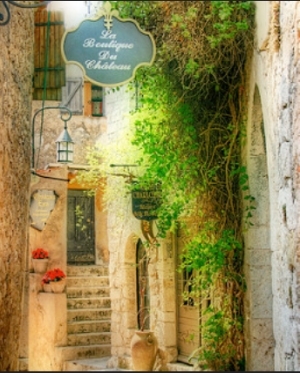 Shopping Guide for provencal cities can be found HERE. By the way - the list of brands at particulary stores is not complete at all. I've picked out most of information from the websites of the brands, since almost none of the stores in smaller cities has something like homepage. Brands: Comptoir Sud Pacifique. There also used to be L'Artisan. Brands: Acqua di Parma, DIPTYQUE, Hermessence**, Houbigant, Juliette has a Gun, L'ARTISAN PARFUMEUR, LAURA MERCIER, Maison MARTIN MARGIELA, Robert Piguet, REMINISCENCE, SERGE LUTENS, Yves Saint Laurent LE VESTIAIRE. Brands: Acqua di Parma, Cire Trudon. The Fragonard' factory is located on the famous road Moyenne Corniche, in Eze-Village. That's what the description from the official site says: "Suspended above the sea, on the Moyenne Corniche between Nice and Monaco, stands our perfume, soap and cosmetics factory equipped with the most modern laboratories and workshops." Brands: Atelier Cologne, Serge Lutens. Brands: Absolument Parfumeur, Acqua di Parma, Creed, Jean Charles Brosseau, Molinard, Serge Lutens. Brands: Absolument Parfumeur, Acqua di Parma. Brands: Acqua di Parma, Costume National, Creed, Houbigant, Jean Patou, Jean Charles Brosseau, Molinard, Premiere Note, Parfums Berdoues, Rigaud, Serge Lutens. Brands: Caron, Laurence Dumont Les Senteurs Gourmandes, Reminiscence. Brands: Astier de Villatte, Ortigia. Shiseido SPA, which stocks Serge Lutens' fragrances. Brands: Atelier Cologne, Acqua di Parma, Comptois Sud Pacifique, Jean Charles Brosseau, Molinard, Premiere Note, Reminiscence, Serge Lutens. Brands: Absolument Parfumeur, Annick Goutal, Atelier des Ors, Acqua di Parma, By Kilian, Cire Trudon, Creed, Diptyque, Juliette has a Gun, Premiere Note, Réminiscence, Serge Lutens. Brands: Alexandre J, Nejma, Onyrico, Ormonde Jayne, Profumum. Brands: Mad et Len, Volnay. Brands: AU PAYS DE LA FLEUR D'ORANGER. Brands: Comptoir Sud Pacifique, Patyka. Brands: Atelier Cologne, Acqua di Parma, Annick Goutal, Baxter of California, Caron, Durance, Esteban, Juliette has a Gun, L'Artisan, Laurence Dumont Les Senteurs Gourmandes**, Parfums Berdoues, Reminiscence, Serge Lutens. Brands: if still opened - Creed, E.Coudray, Jean Charles Brosseau, Jean Patou, L'Artisan, Parfums Berdoues, Serge Lutens. There also used to be Absolument Absinthe, Annick Goutal, Caron, Comme des Garcons, Geoffrey Beene, Houbigant, L.T.Piver, Maubussin, Molinard, Nez a Nez, Poiray, Penhaligon's, Reminiscence, SoOud.